"Paint to live, live to paint"!!! Pete "Hot Dog" Finlan was in his usual spot, ready to pinstripe up just about anything that didnt move. 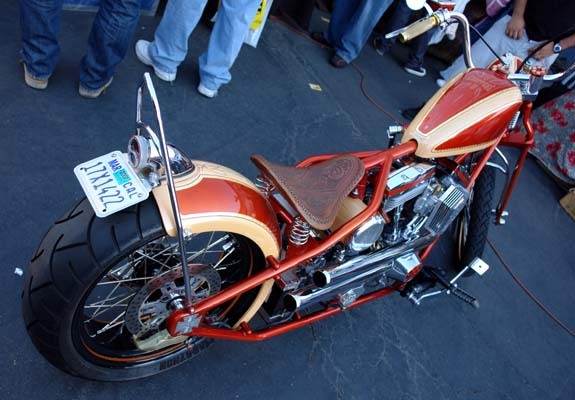 One of my favorite bikes at the event, and a new one for me to see was Finlan's new West Coast Chopper ride. This bike was sweet. Check out the hand tooled leather seat, and killer Old school pinstriping throughout. 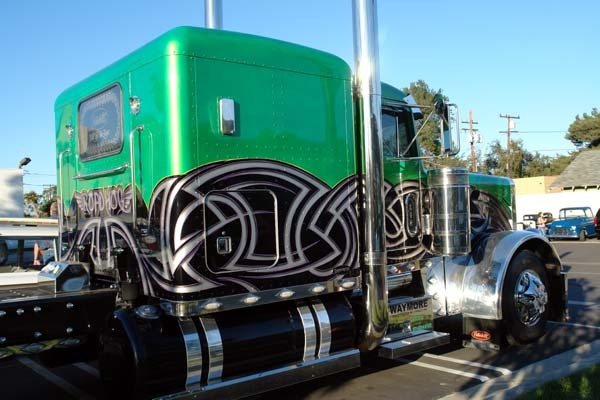 At the end of the filming season for "Trick my Truck" Ryno Templeton was at the show, and even one of the trucks made an appearance. Vehicles of every shape and size made it to this show. 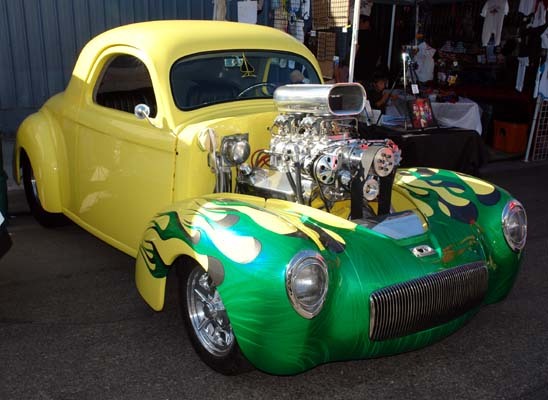 What is a kustom kulture car show with out at a blown Willys?? 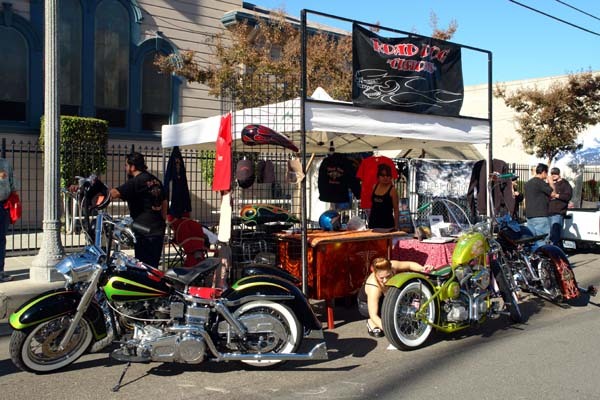 One of the newer vendors, Road Dog has some great old school bikes on display, and even a "50's" chick there to wipe them down. 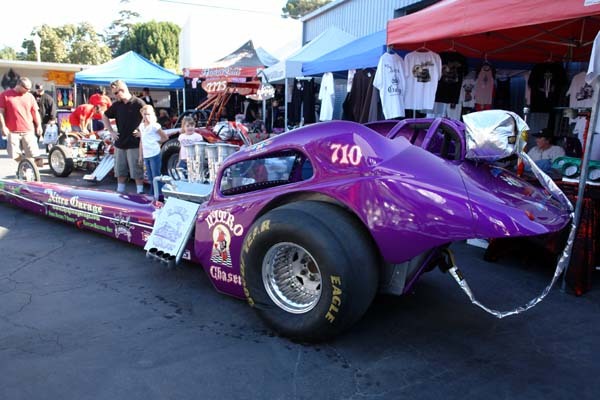 Just like last year, Newt brought out his Injected, "Nitro Chaser". Both Newt, and Leah uncorked, and cranked these badboys up at the show. Nothing like watching grown men cry from the Nitro fumes....heheheh. 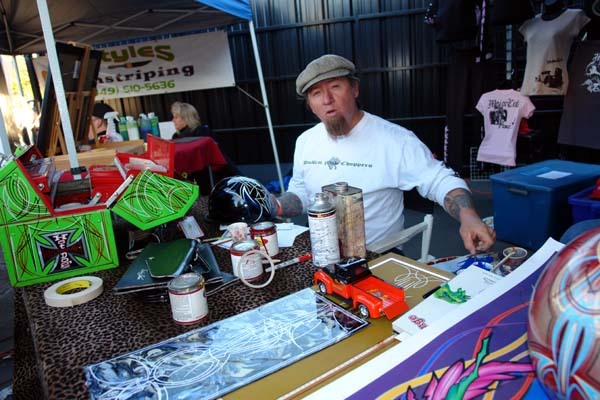 CLICK THE PIC BELOW TO CHECK OUT LAST YEARS 2003, AND 2004 KUSTOM KULTURE PARTY!